Mixing patterns is always something I have loved. I think it is beautiful to surround yourself in beautiful colors and bold patterns. 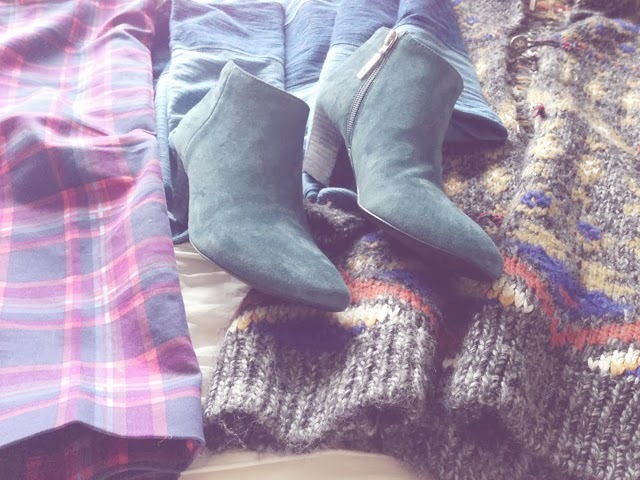 I have always had an eccentric side, and I think it comes out the most in my wardrobe. I have never been scared to wear bold pieces. I may or may not have owned big furry white boots once... or twice... in my life. It obviously doesn't scare me if my patterns don't match - I am not always sure how I decide pieces go together or not - but clearly I was feeling bold with this ensemble. I mean a girl has to look good to head to the basketball courts at the community center, no? You should see what I wear when I really have a place to go! And hello blue suede shoes - you and I are going to be good friends. No matter what textures and patterns I am mixing you will always see me feeling my best in comfortable and moveable clothes - that is always of the utmost importance! Are you a fan of mixing colors and prints? 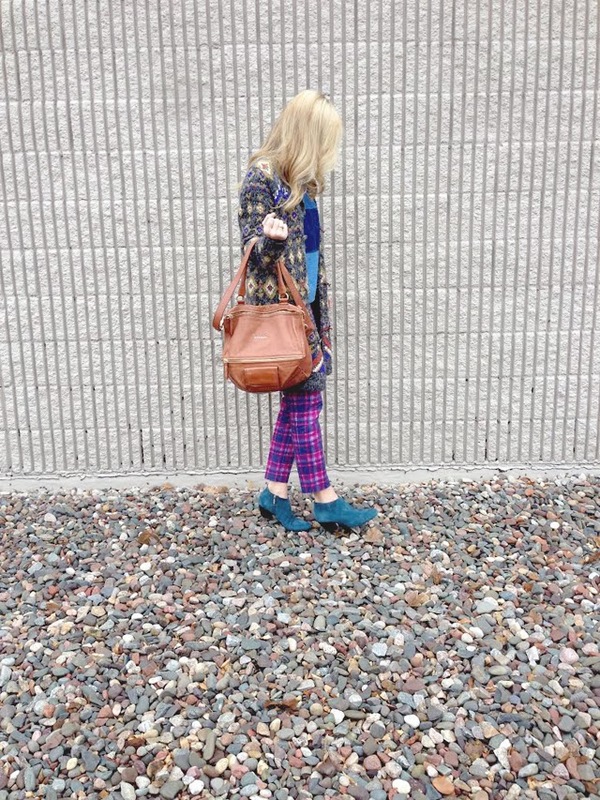 Do you like the plaid trend that is coming back? okay, i love your style. Id love to send you something from my clothing line. I just found your blog and am smitten! you love the Lord… how awesome… such an inspiring blog!